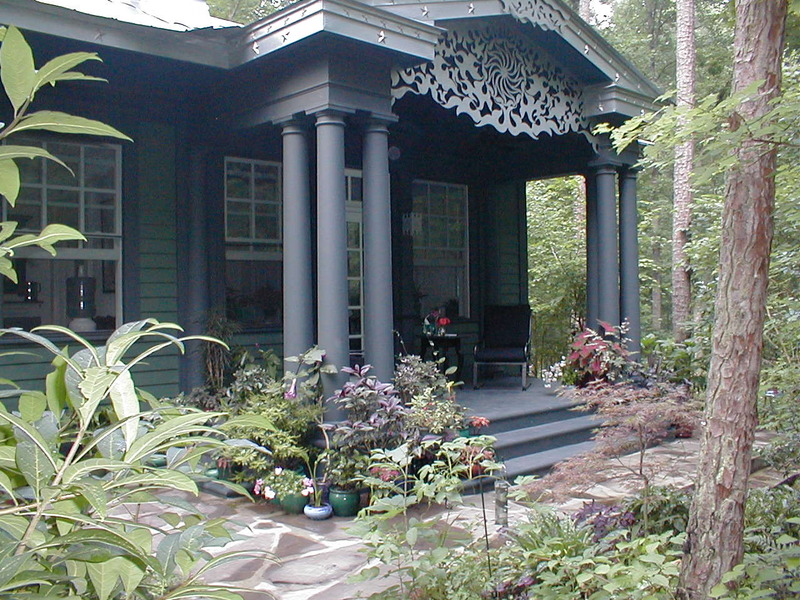 Robert has built or designed and built many different types of porches. A few examples are pictured on this page. 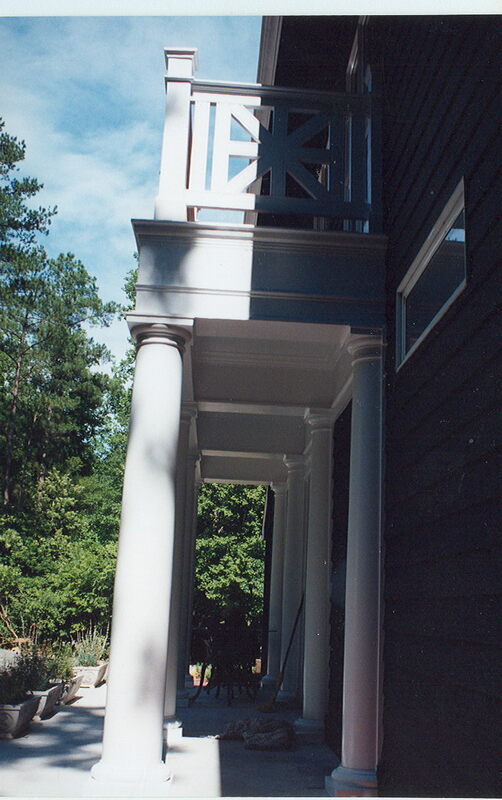 Robert was asked to add a porch to the back of an existing house to create a classical style second-story patio and add a new formal entrance. 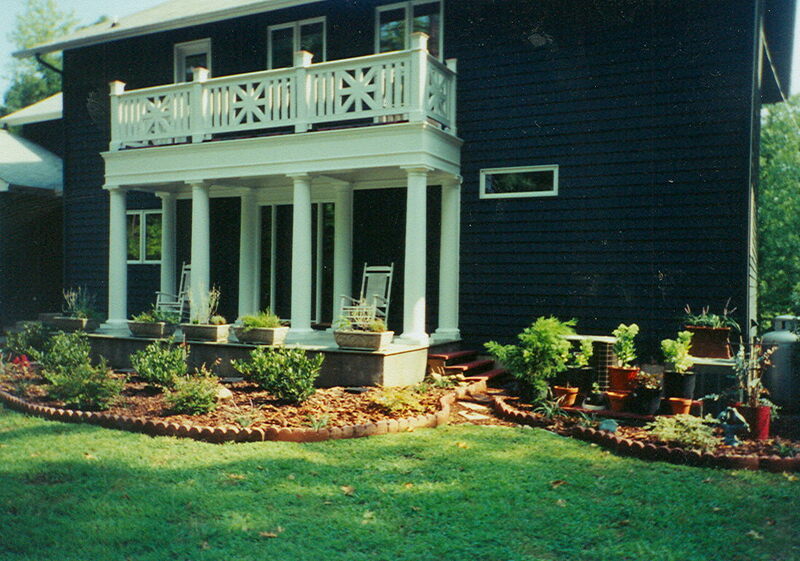 The wooden second-story balustrade encloses the porch floor covered by brick pavers. Ogee gutters sit in a trough on top of the architrade, and the downspouts are concealed in columns. A shorter beam runs back to the house at every column thereby creating three recessed coffer ceiling areas. 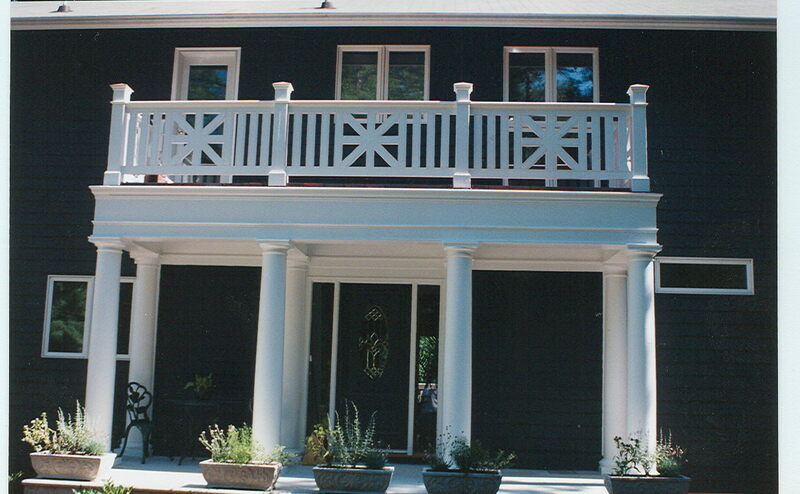 Robert was asked to add a porch to an existing house in the style of a Greek temple. He constructed the concrete steps and framed in the roof and the architectural beam. Robert added a metal gable and finial. 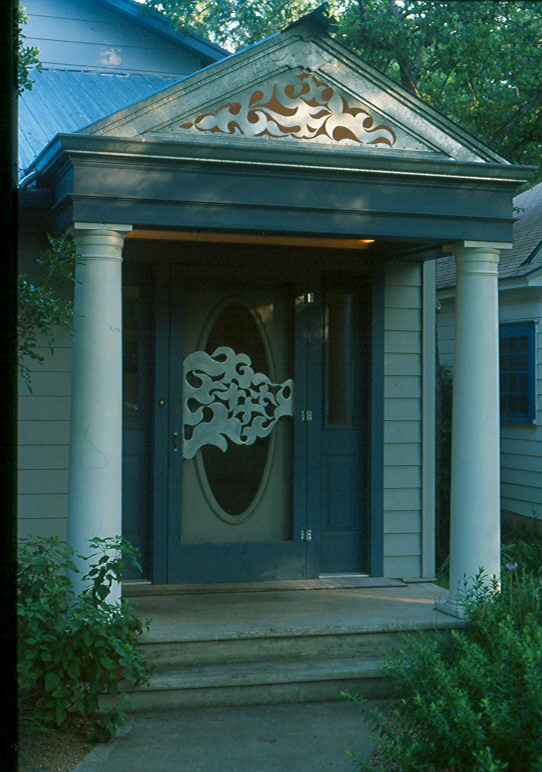 The photographer-owner challenged Robert to make a non-centered panel across the door, resulting in the metal cloud design. A front porch with gable added to a new home. 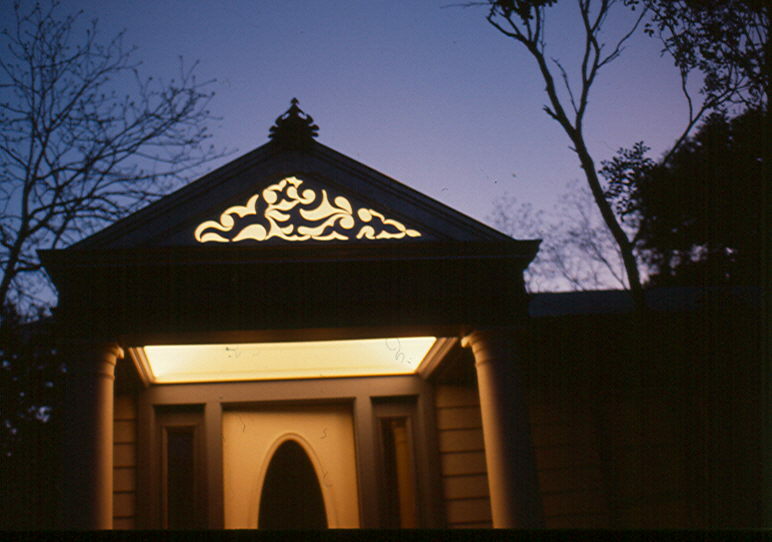 Side porch for psychology office.